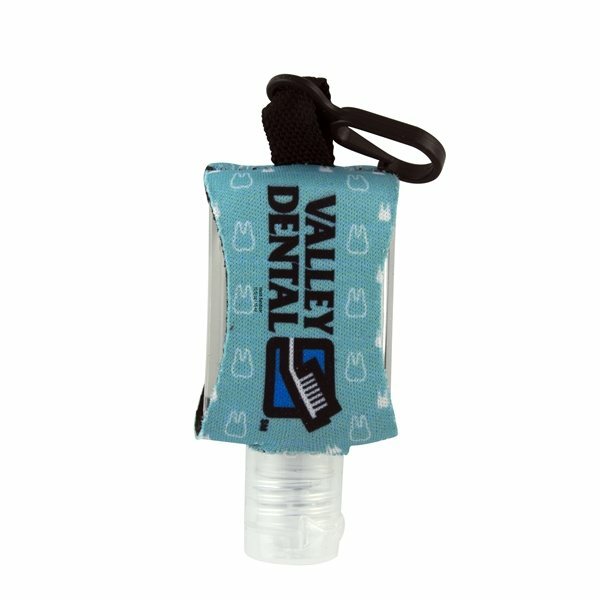 Fight germs at home or on the go with our antibacterial hand sanitizer with a full color, custom print leash/neoprene sleeve. This sanitary accessory comes in a 0.5 oz / 15 ml bottle. This handy accessory is perfect for anyone looking to fight germs anywhere at any time. This sanitizer is a great idea for gifts, health clinics, events or your friendly, neighborhood germaphobe! You can expect with a giveaway of this type. quality product, timely response and service by Rose. East to work with. The merchandise was very nice represented properly. Our customers loved the ball. The imprint we requested was very nicely done.